A sore baby bottom can turn the most pleasant disposition into one of misery. Wanting only the most natural, gentle products against your baby's delicate skin, herbal solutions are ideal in comparison to chemical-laden commercial products. We took our Herbal Baby Massage Oil and turned it into a healing diaper rash balm by adding pure beeswax, lanolin and additional vitamins A and E. A nice blend of gentle ingredients which not only help heal irritated skin, but also act as a barrier against moisture to hinder the development of a rash in the first place. 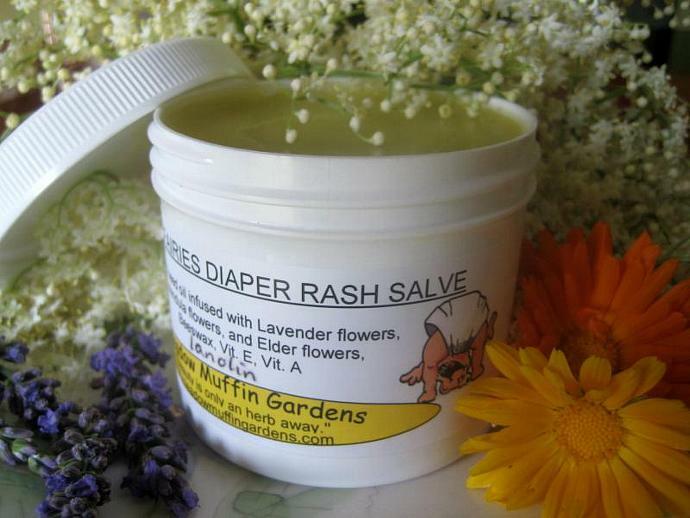 This Herbal Baby Bottom Salve uses apricot seed oil rather than mineral oil often found in commercial baby products. Mineral oil is a petroleum based lubricant. Apricot seed oil is a light, odorless, non-greasy oil very gentle for children's skin care products. Being it is not a nut oil you needn't worry about a possible nut allergy. The three herbs chosen for this balm are calendula, lavender and elder flowers. All very safe for use with young children. 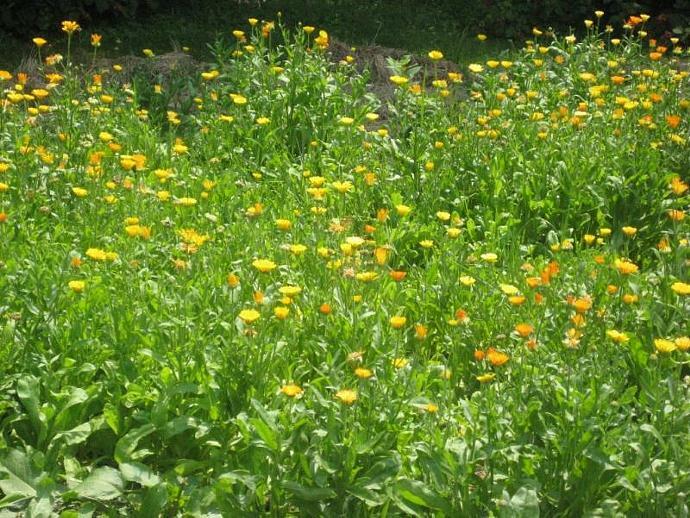 Calendula contains carotenoids which act as antioxidants that nourish and aid in healing troubled or injured skin. 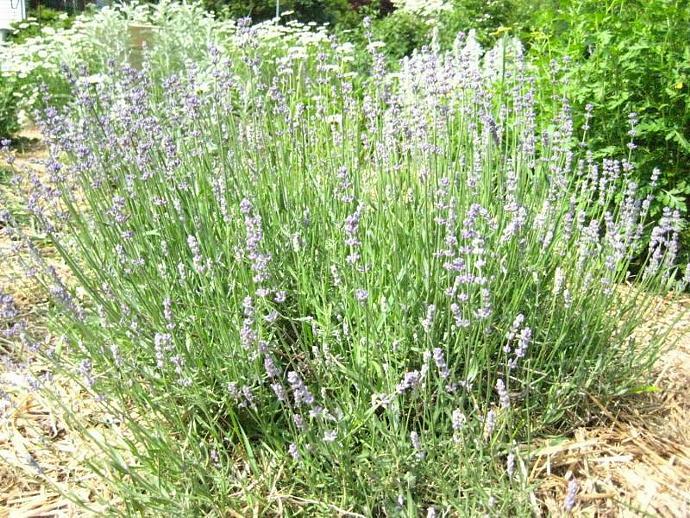 Lavender contributes its wonderful aroma to our oil as well as its multitude of emotional and healing benefits. Soothing for both skin and nerves, lavender is a favorite. Elder flowers come from the elder bush which if left on the bush become the black/purple berries used for our immune boosting syrup. Known as a cleansing herb, elder flowers were historically used by women as a toner for clear skin. Chamomile may be substituted for any of the above herbs. Very well known and trusted in skin care for its anti-inflammatory properties which calm down redness and irritation. 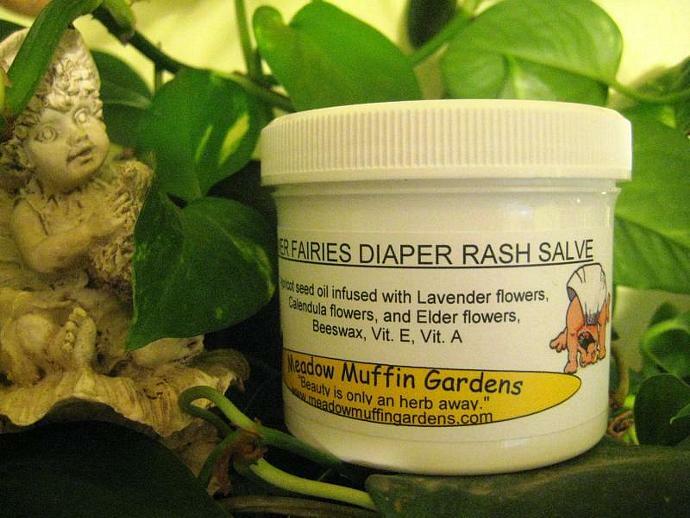 Herbal Baby Bottom Salve does not contain synthetic fragrance oils or colorings. They are unnecessary and may cause irritation to a baby's sensitive skin. If desired, a bit of Lavender and/or Chamomile essential oils can be added for not only a more pleasant smelling oil blend, but to add their calming, relaxing properties. Essential oils are plant based essences, natural and very therapeutic. Let me know upon ordering if you want essential oils added. If desired, a bit of Lavender and/or Chamomile essential oils can be added for not only a more pleasant smelling oil blend, but to add their calming, relaxing properties. Essential oils are plant based essences, natural and very therapeutic. You can select the option of added essential oils at checkout. Also, the amount of added essential oils depends on the age of the child. The percentage rate is 1% for ages 12 months to 12 years, .5% for ages 6 months to 12 months and .2% for a newborn up to 6 months. Please let me know the age of your child in the message box at checkout. This salve does contain lanolin unless a customer requests it be left out. Lanolin is secreted from the sebaceous glands of sheep into their wool. It is very soothing and provides a barrier against moisture. However, lanolin can be irritating to some people's skin, so first time users do a test patch on a small area of skin and observe for any reaction. Should you want the lanolin left out of the salve let me know. The most common cause of diaper rash is trapped moisture, bacteria and detergent residues that are not completely rinsed out of diapers. If you use disposable diapers, be sure to check for wetness frequently. They are made almost too well that a mom cannot easily tell and the baby may not even feel that wet. If you use cloth diapers, adding a bit of vinegar to the rinse cycle will help wash out the detergent. Make sure your diaper covers aren't too tight that they seal in moisture. Letting your baby's bottom air dry once in a while does wonders for a skin rash. This balm is also ideal for the care of our elderly loved ones who may suffer with skin irritation as a result of trapped moisture or chaffing. Issues they may not like to talk about but no matter what the age, skin is sensitive and needs special care. If you want essential oils added, the percentage for an adult is 2% rather than that for an infant. Let me know in the message box at checkout if this balm is for an adult. Add the baking soda to the wash cycle along with the detergent. Baking soda helps neutralize the acids in the dirty diapers. Add the vinegar to the rinse cycle to soften clothes and help remove the detergent. Herbal Baby Bottom Salve comes in a 4 oz plastic jar. Apply after every diaper change. Be sure baby's bottom is dry before putting on a new diaper.